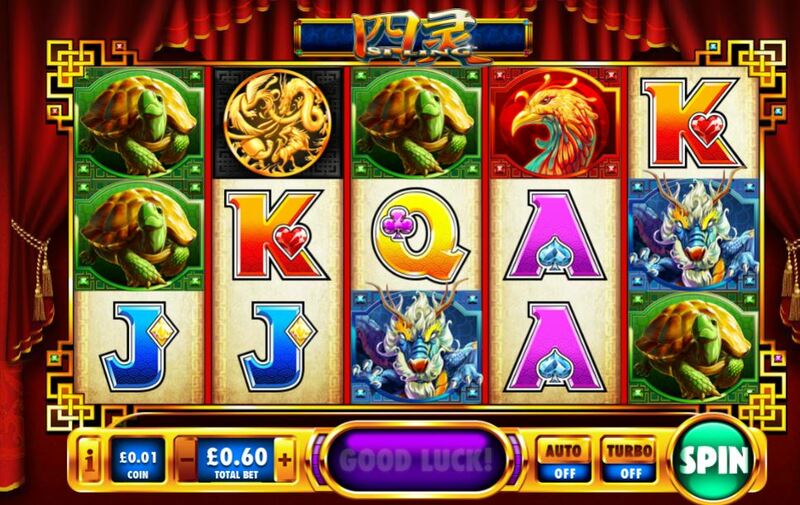 Si Ling slot has a Chinese theme and uses stacked symbols over 5 reels of 3 rows with 243 ways to win. 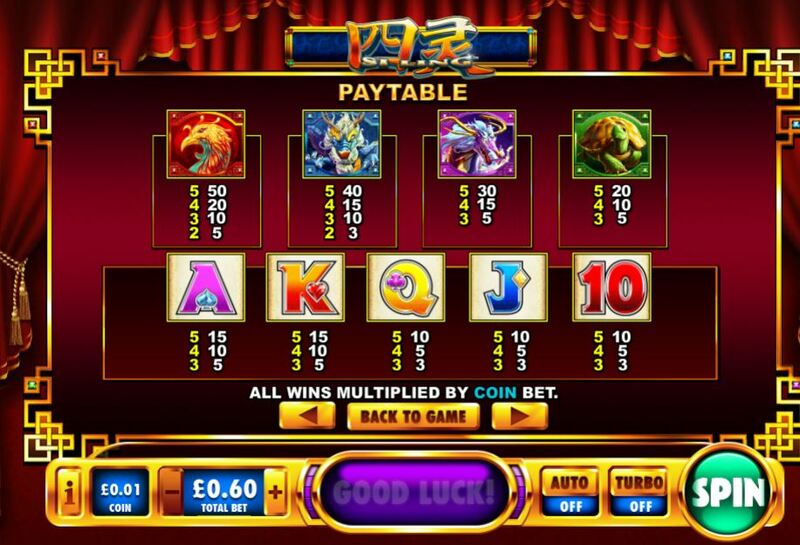 Playtech have churned many Chinese theme slots out in recent times but at least this one is a bit different. 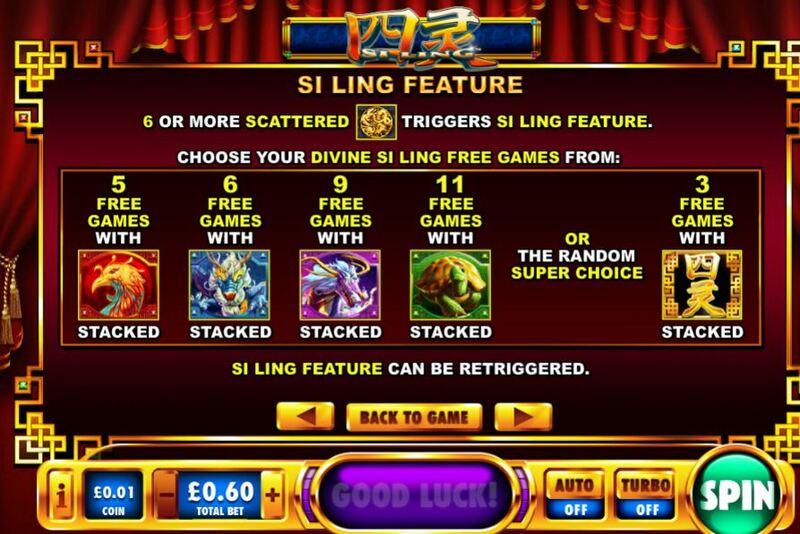 Si Ling means 4 Divine Emperors and we see them represented on the reels. The Wilds aren’t multipliers but like the rest appear stacked as do the scatters even! If you get 6 or more coin scatters in view you get free games and you choose the quantity and thus volatility. 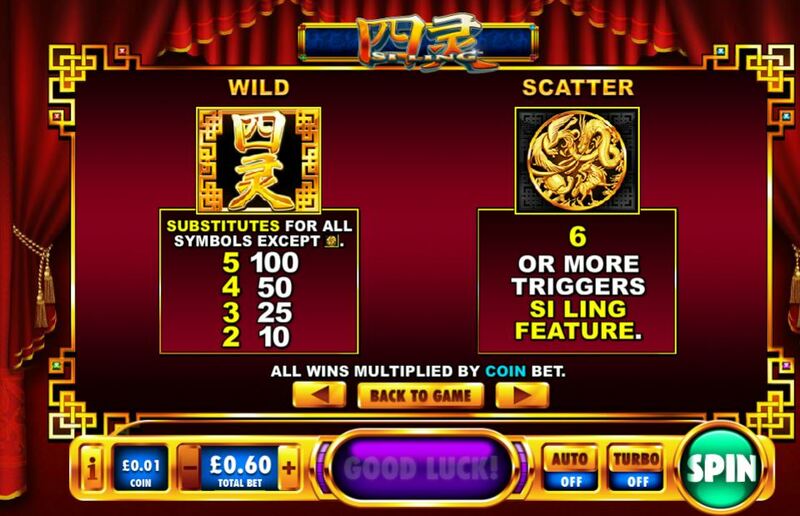 This is similar to slots like WMS’s Wishing You Fortune but instead of multipliers you choose the value of the symbol to appear super-stacked on the reels. The Wild can be chosen too as well as one the 4 emperors but you’ll only get 3 free games and if you choose the lowest-value Emperor 11, in between 5,6 and 9 for the other three Emperors. You can retrigger the round and get the same as you chose originally. The RTP of Si Ling is 96.61% and the volatility medium.